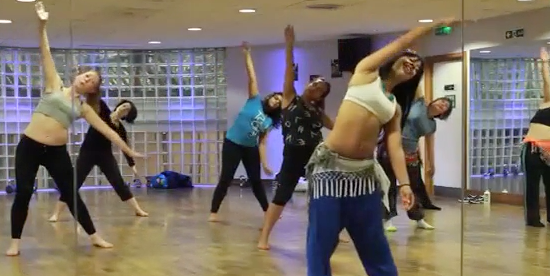 Learn the art of Ori Polynesia – get your hips rolling and swaying Tahitian Dance style! We will cover drum beats of Tahiti whilst learning Tahitian dance moves and techniques, drills and combinations and learn a Tahitian O’tea choreography! Ori Polynesia is the beautiful art of blending Polynesian dances, from the beautiful Islands of Polynesia. Some elements involve fast and ferocious drums, which we learn how to dance to, and other elements are slow, soft & flowy. Ori Polynesia will give you a thoroughly therapeutic and rewarding workout. Learn hand gestures and movements, Ori hip work including the famous “Fa’arapu“, build strength, develop technique and speed with drums, learn graceful elegant softer slower movements such as the “Varu” which is the Ori figure of 8 and feel like a Polynesian dance Goddess of the Islands! Prepare to sweat, get in touch with your body and feel deeply invigorated!!! Lots of water a must!!! EVERYONE WHO BOOKS ON THE 12 WEEK COURSE AUTOMATICALLY GETS FREE ACCESS TO THE SAME COURSE RECORDED VIDEOS ONLINE FOR THE DURATION OF THAT TERM, AND HAS THE OPPORTUNITY TO PERFORM IN THE END OF TERM SHOW PRODUCTION.